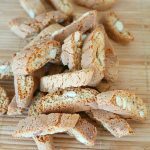 These Almond Biscotti are lovely crunchy cookies perfect for dunking in your coffee or as a teatime treat. 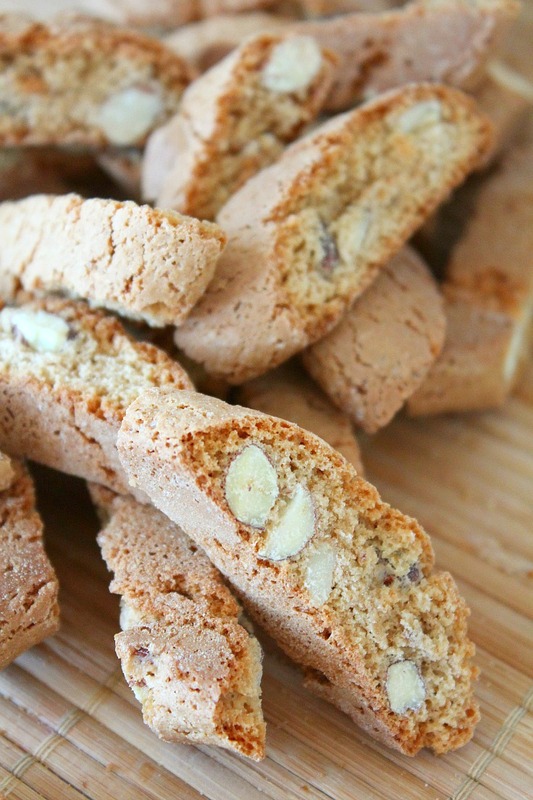 These simple homemade almond biscotti are like a little slice of heaven! 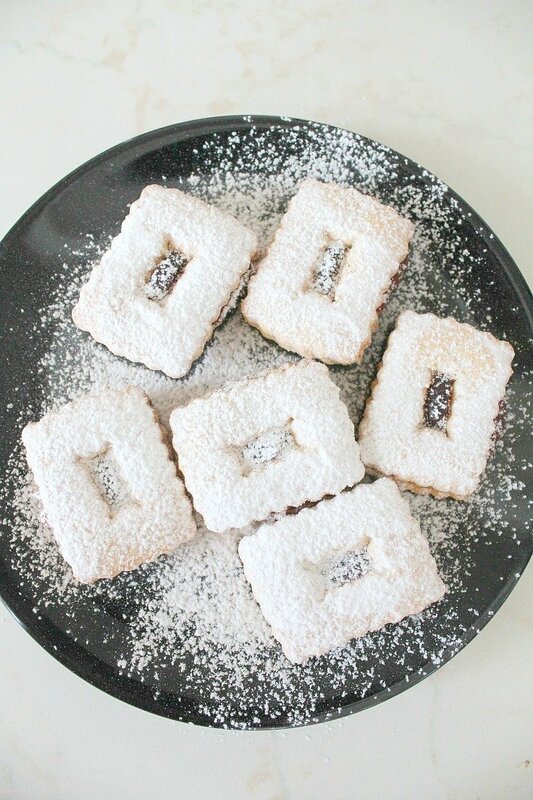 If you’ve never experienced the joy that these cookies are you are totally missing out and you really have to try this recipe! 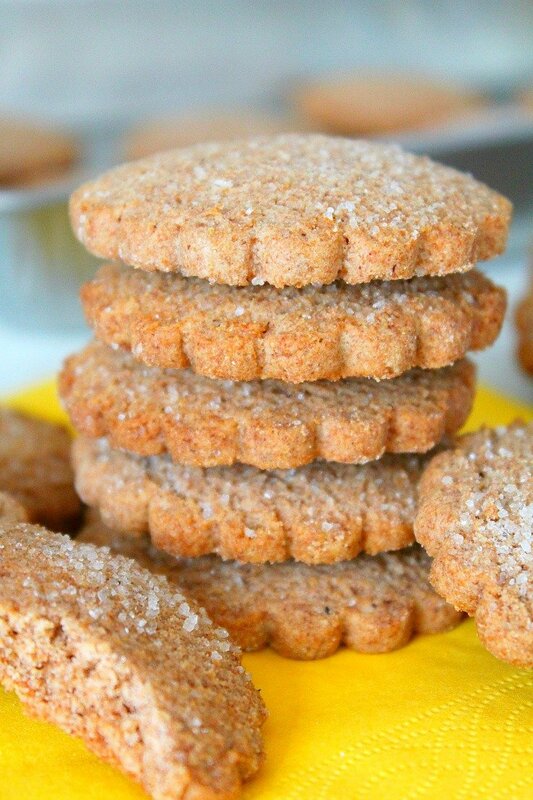 These are great as a teatime treat, a delicious way to enjoy your coffee or as a mid afternoon snack. 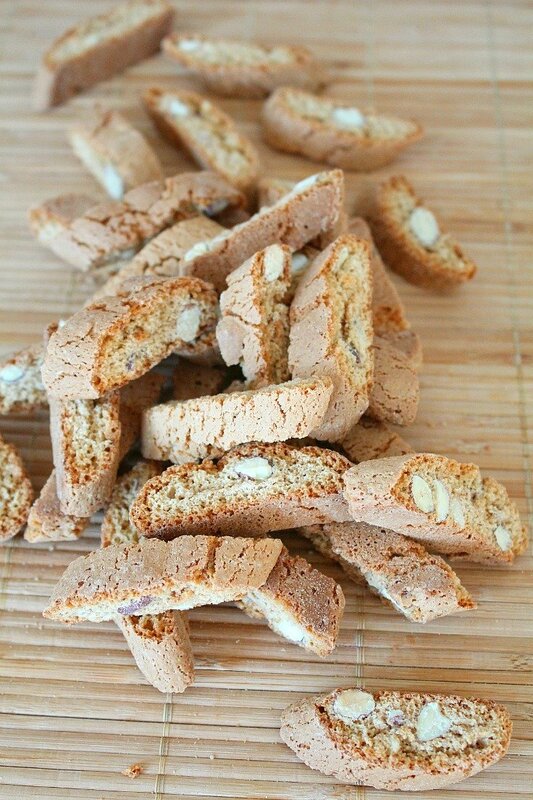 Biscotti are traditional centuries-old Italian oblong cookies, twice-baked, made dry and crunchy by slicing a hot baked loaf , then baking a second time. 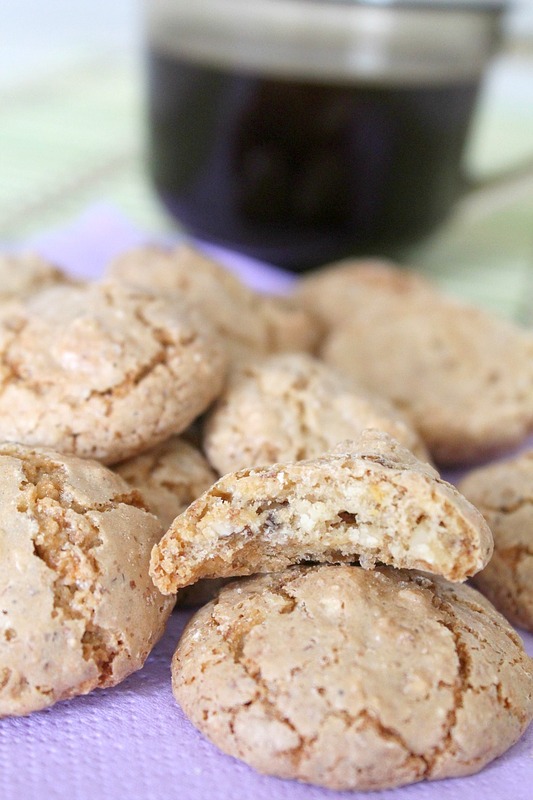 The recipe can easily be adjusted to accommodate all kinds of nuts, with pistachio and almonds being the most popular. Preheat oven to 350 F = 175 C.
With a hand mixer, beat in eggs and vanilla until combined. Add almonds and almond extract and beat until combined. Divide dough in half and transfer to a baking sheet. Form each half into a log of about 2 1/2″ wide and 3/4″ tall. Bake until dough is firm but gives slightly when pressed (20 to 25 minutes), rotating sheet halfway through. Let cool on sheet on a wire rack for 20 minutes. Meanwhile, prepare 2 baking sheets by lining with parchment paper. With a serrated knife, cut the log into 1/4″ slices on the diagonal. Arrange, cut side down, on 2 baking sheets. 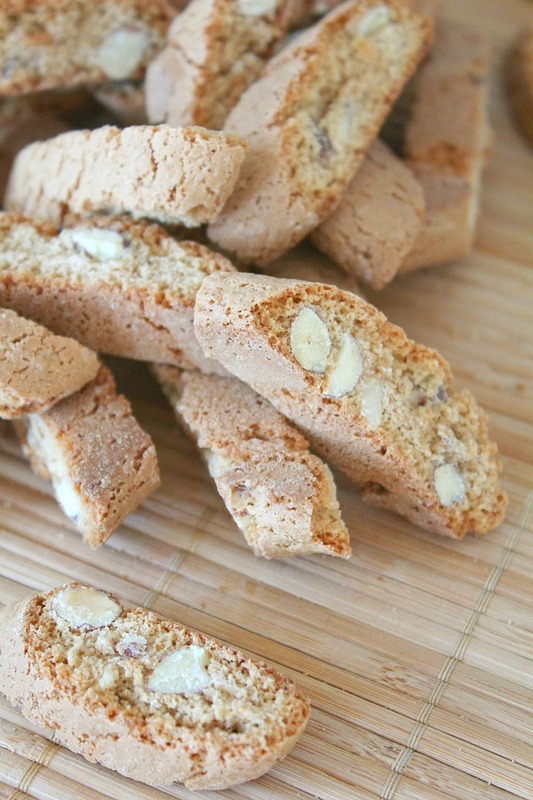 Bake until biscotti are crisp and golden, about 15 minutes; rotate sheets and flip biscotti halfway through. Form each half into a log of about 2 1/2" wide and 3/4" tall. With a serrated knife, cut the log into 1/4" slices on the diagonal.